Played and supported by Marcel Dettmann, Dj Deep, Electric Indigo, Cleric, Exium, I/Y, Alex.Do, Blind Observatory, Takaaki Itoh, J.C., Antonio De Angelis, Angel Molina, Albert Van Abbe, Ness, Deepbass and more. Played and Supported by Giorgio Gigli, Lucy, Marcel Fengler, AnD, Adam X, Drumcell, Submerge, Jonas Kopp, Truncate, Dimi Angelis, Jeroen Search, Forward Strategy Group, Abdulla Rashim, Mattias Fridell, Developer, Angel Molina, Tom Bonaty, Valentino Kanzyani, Deepbass, Thomas Hessler, Anderson Noise, Audio Injection, Richie Hawtin and more. 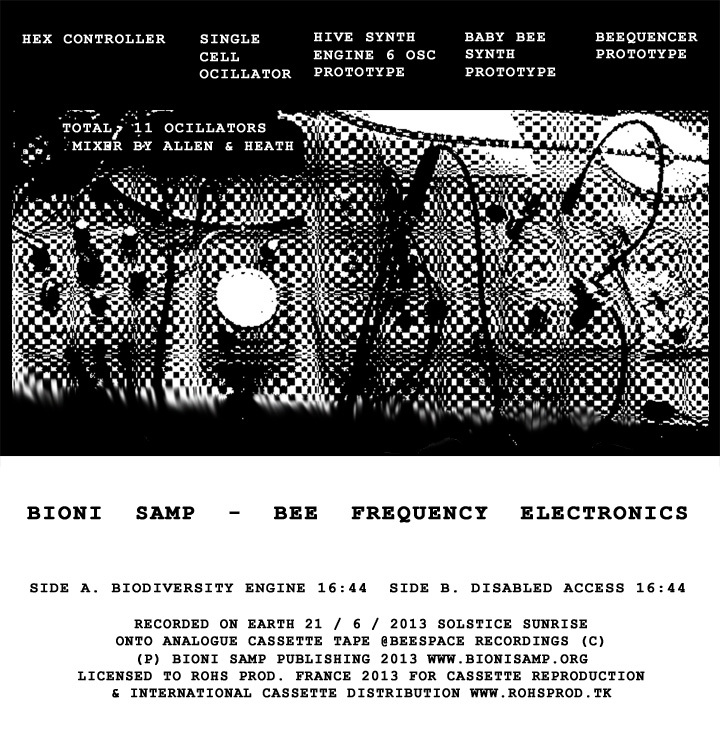 Also released now is a cassette release of my live experimental electronics Bioni Samp – Bee Frequency Electronics. Recorded directly to cassette via my Allen & Heath mixing, desk (no overdubs) for the French label RoHS Prod. 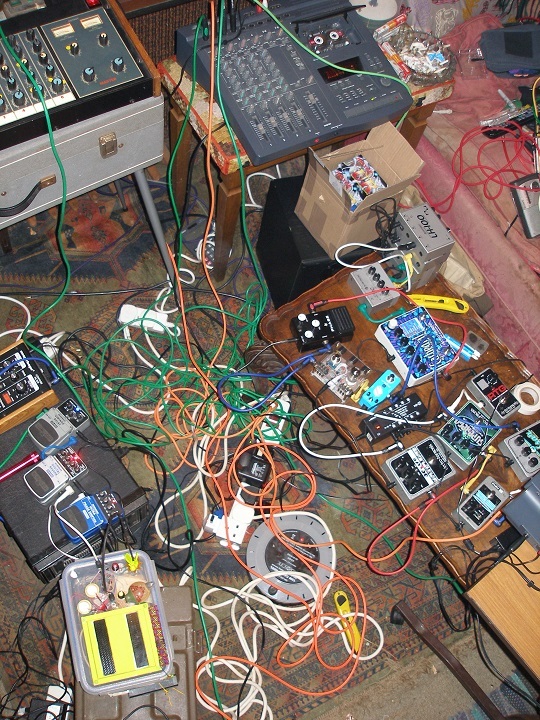 The following instruments played by Bioni Samp were used for the remix recording: Baby Bee Synth, Hive Synthesiser (6 osc. prototype), Beequencer, Marsh Drum machine, MFB Drum Machine, Behringer FX Pedals + Allen & Heath mixer. Here are a few notes about our debut EP, out now on MMR Recordings and available through most major online retailers. The 4-track EP contains 2 original productions, plus two of London’s most talented electronic musicians, Bioni Samp and Ben Glass, on remix duties. Bioni Samp’s been making waves on Aconito Records with his unique brand of minimal techno. His hive synthesis techniques create a distinctive sound world and his remix of R.A.W is something else: deep, cerebral and trippy. Clocking in at over 9 minutes, the track features a rare vocal appearance from Owlin not heard on the original.